Excuse my absence. I have been travelling again!! It couldn’t be helped and it sure was fun. This is one of my favorite chapters in the book. I hope you enjoyed the blog postings of the book which is now available in print and on Kindle. Please consider not only purchasing, but reviewing the book. Not much can be said about a first flight or solo flight in a plane. You have to have experienced it in order to relate. I had entered the USAF elite pilot course just 5 months earlier. 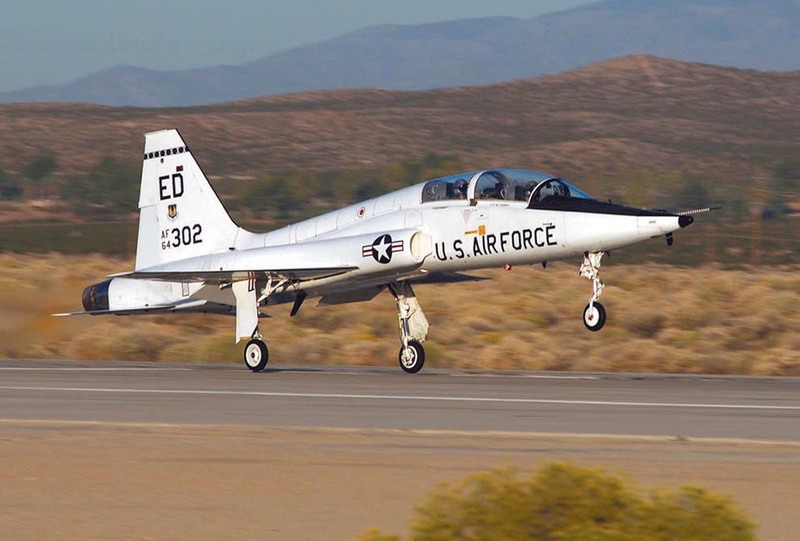 Called Undergraduate Pilot Training or UPT for short, I had managed to finish the training in the less powerful T37 primary jet trainer and enter the T38 advanced jet training program. After 5 rides in a supersonic jet, at just 24 years of age and with less than 200 hours total flying time, I was given the green light to go alone. The comforting thing about this flight was that since the jet is built with the second seat behind the first, I couldn’t tell my instructor wasn’t there except I no longer heard him breathing over the intercom. The T38 sits about 8 feet above the ground with the gear down. As you are taxiing out to the runway it is a like holding back on the reins of a thoroughbred horse waiting for the race to start. It has a bit of a shake and shudder that throbs like life itself. Getting cleared by tower for takeoff, knowing this is a huge test of mental wills, I went through the final checks on the checklist, careful to complete all the items. You only have to miss one thing to make a fatal mistake. 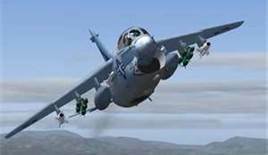 Putting my head back against the seat confirmed the head knocker was up, signifying the ballistic charged ejection seat was armed. Slowly but with determination, I advanced the throttles until the slight resistance confirmed I was at full 100% military or mil power. The quick check of the engine instruments told me the jet was willing and ready. My legs were slightly trembling from the effort of holding the toe depressed brakes while this check was finalized. Releasing the brakes, another quick check and my left hand firmly advanced the throttles past the full mil stop to full afterburner. The immediate kick of acceleration was confirmation that both jet engine afterburners had lit and the speed increase to 120 knots (nautical miles per hour) was almost instantaneous. Truly, here I was, a new flight student in charge of a multi million dollar jet capable of flying the speed of sound or supersonic, and on my own. The flight instructor’s confidence in me was a thrilling experience, and now, here I was on my own. And on my own meant that I had to fulfill the short mission profile, and return to land – on my own. Wow, what a rush. What a rush and a thrill. You absolutely can not describe it. After my third touch and go, I set up for the final landing. Afterwards, when I had landed and returned to the ramp, I felt absolutely heroic as engines were shut down. Climbing down the steps, I was prepared for the hosing down at the stocks by my class comrades, that signaled the end of the phase and entry into the exalted ranks of those that had gone before. Well, cooking your first full meal solo and serving it to a wonderful lady may not be quite the same. But, all in all, you will receive a great satisfaction in knowing that you are doing something that others can do, but most simply won’t. Be heroic and go for it. Experiment and enjoy the process. And by all means, share your experience with me on my blog so we can all give you the congratulatory hosing down you deserve.